At the Lipa leg of the Suzuki @ work after-sales service camp, customers were given a full, thorough, and free vehicle 23 point check up. The service camp is part of Suzuki Philippines Inc. (SPH) current efforts to amp up the brands customer relations. A mechanic carefully checks the tires at the second bay of Suzuki @ work. According to Suzuki’s Service Manager, Mr. Rommel Cabanela, Suzuki @ work aims to foster good relationships between customers and dealerships. “A big chunk of that goodwill translates to great service. We want our people to know that Suzuki’s services and car car go beyond the sale,” he said. A Suzuki service camp is like an assembly line where the vehicle passes through three stations or bays. Each bay has a team of qualified technicians. Every customer’s check up will include topping of fluids, checking of battery condition using a Computerized Battery Tester and checking of engine performance with the use of Suzuki Diagnostic Tool (SDT), all free of charge. The customers will also be given recommendations on specific areas of the unit that require servicing. In the first bay, the vehicle’s general condition is checked. The aircon, windows, mirrors, wipers, and all the lights are among the areas examined in this stage. The hand and foot brake are also adjusted in the first bay. An inspection of the underchassis – front and rear brakes, transmission – follows. 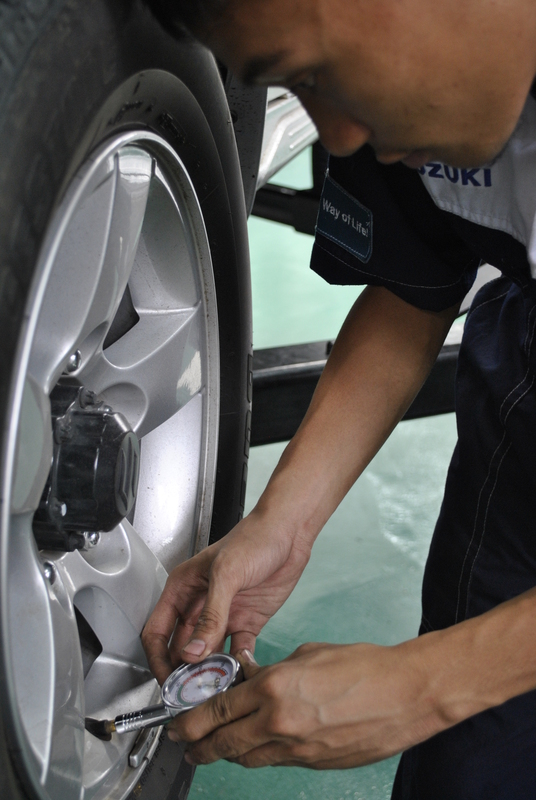 Wheel bearing, the condition of tires and power steering hoses and fluids are also checked at the second bay. At the last station, Suzuki engineers will take an exhaustive look under the hood. The condition of the belts, engine and engine oil, as well as ignition timing are examined at the last bay. Vehicle owners will get an update on their vehicle’s condition and when needed, be encouraged to avail of discounted parts and services. 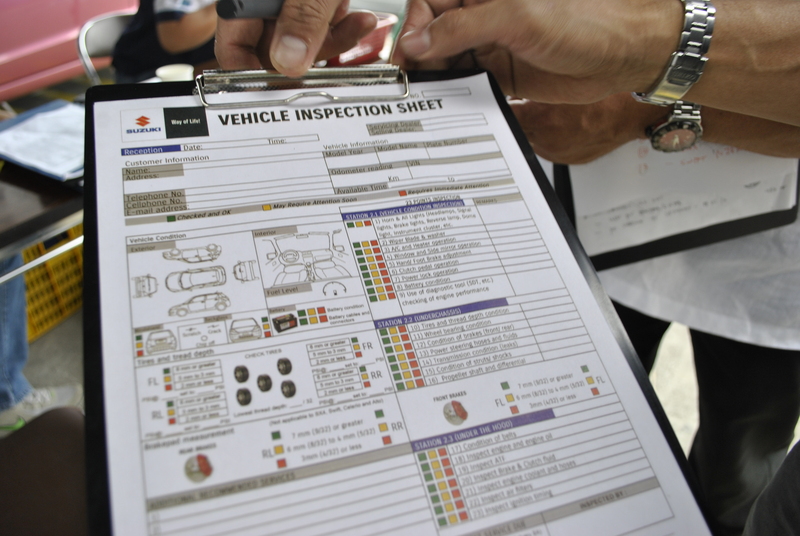 The whole process is documented in a service check-list that accompanies the vehicle through the three bays. The check-list also serves as proof that the vehicle has gone though the service camp.